Water is the bane of any deck’s existence – causing rot, damage, even making problems for your house or building structure. Water damage over time can erode structural integrity and might even lead to deck failure. By waterproofing your deck surface, you not only cut down on maintenance, you also make your deck safer by keeping the underlying structure dry. Decks of any color can absorb the sun’s heat, so on hot days, it can lead to blistered feet. For families with young children or pets, this can certainly be a concern. With vinyl membrane installed, the deck surface stays cooler, so you and your family can enjoy your deck any time or temperature. Decks can be slippery – especially wood decks or older decks that haven’t had a lot of TLC. 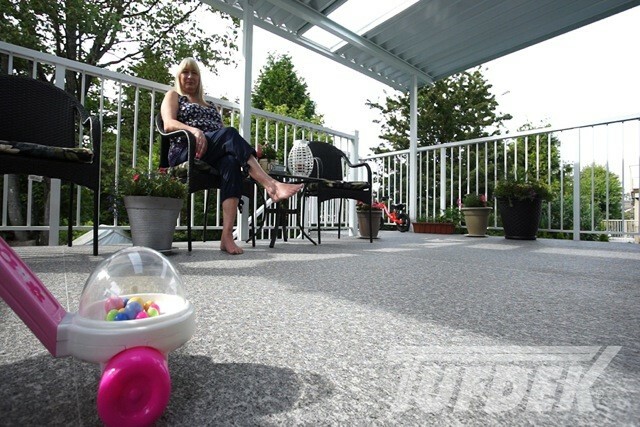 Textured vinyl deck surfaces can give your deck a little extra grip, so even on wet days, you’ll avoid slips. 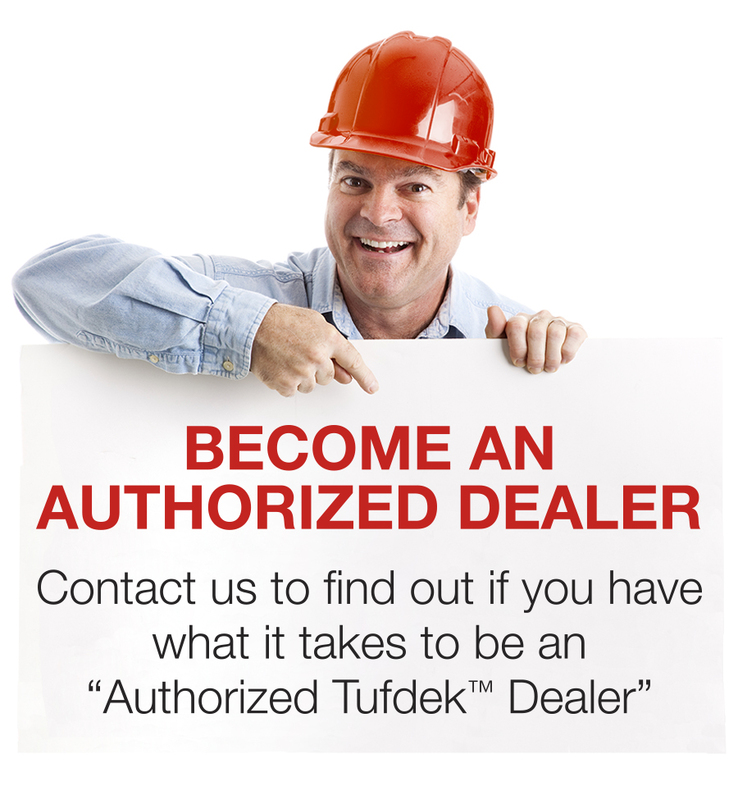 There’s a reason why Tufdek™ makes a great vinyl roof deck. Not only is it manufactured to meet or exceed current PVC roofing standards, it also makes for a great deck surface. The benefit? You’re protecting your homes’ interior by ensuring a waterproof decking surface and will have a lovely deck to enjoy as well. What does this mean for safety? Quick maintenance a few times per year reduces the build-up of leaves and debris, which can lead to slippery circumstances and increase the risk of falls and accidents. Compared to wood decks, maintenance on vinyl decking is a breeze, so you can spend less time cleaning and more time enjoying your deck. 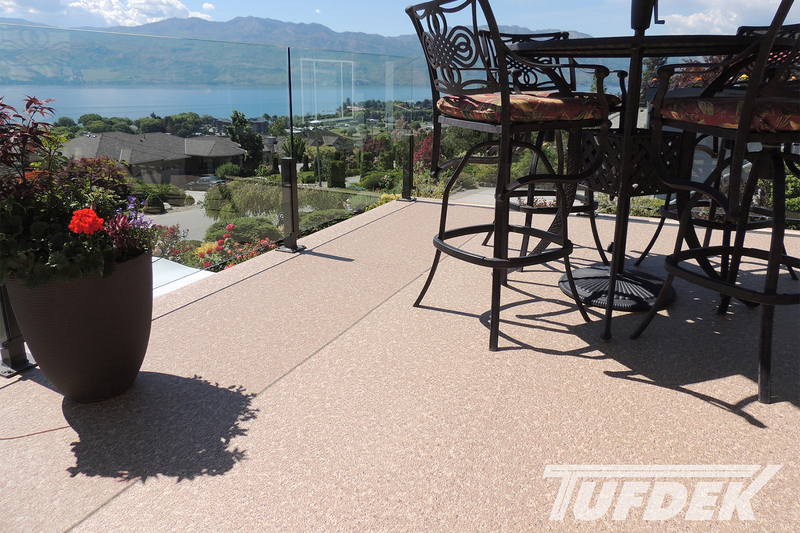 So, what if you don’t currently have a Tufdek™ vinyl surface keeping your deck safe? Perhaps it’s time to consider a deck renovation. Luckily, a vinyl deck surfaces can be quickly and easily installed over an existing deck surface, so in just a few days you can have a beautiful and safe vinyl deck.